Dr. Aristotle Tziampiris is Professor of International Relations; Chair of the Department of International and European Studies and Director of the MSc Program in Energy: Strategy, Law & Economics at the University of Piraeus. He is also Standing Fellow at New York University’s Remarque Institute; Visiting [Non-Resident] Fellow at the University of Southern California; member of the Executive Academic Board of the European Security and Defense College (ESDC); Academic Advisor to the Hellenic American Leadership Council (HALC); Academic Coordinator for the Erasmus+ “Eastern Mediterranean Regional Training Partnership” Program and Examiner for the course International Relations and Politics for the entrance examinations of the Hellenic Diplomatic Academy. Dr Tziampiris was Onassis Senior Visiting Scholar at the University of Illinois at Chicago (August-September 2016); Visiting Fellow at New York University’s The Remarque Institute (2013-2014); Visiting Scholar at Columbia University’s The Harriman Institute (2009); Director of the Center of International and European Affairs at the University of Piraeus (2012-2013); a member of the Scientific Board of the Institute of Defence Analyses (IAA-Athens, Greece, 2004-2009) and IAA’s Board of Directors (September 2005-June 2006), as well as former Research Associate at the Hellenic Foundation for European and Foreign Policy (ELIAMEP-Athens, Greece, 2000-2008). 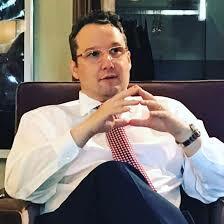 He is the author of The Emergence of Israeli-Greek Cooperation (Springer, 2015); Faith and Reason of State: Lessons from Early Modern Europe and Cardinal Richelieu (Nova Science, 2009); Kosovo’s Endgame: Sovereignty and Stability in the Western Balkans (IAA, 2006); International Relations and the Macedonian Question (ELIAMEP, 2003) [in Greek]; Greece, European Political Cooperation and the Macedonian Question (Ashgate Press, 2000; reprinted Routledge, 2018); co-editor (with Spyridon Litsas) The New Eastern Mediterranean (Springer, forthcoming); co-editor (with Spyridon Litsas) Foreign Policy Under Austerity (Palgrave Macmillan, 2016) and co-editor (with Spyridon Litsas) The Eastern Mediterranean in Transition (Ashgate Press, 2015). Dr Tziampiris has published a series of essays primarily on international relations and Greek foreign policy in the Balkans and the Eastern Mediterranean. His op-ed pieces have appeared in various publications and websites, including The New York Times, The Jerusalem Post, The Huffington Post, The Washington Times and the National Interest. He holds PhD and MSc (econ) degrees from the London School of Economics and Political Science and is a graduate (BA) of Middlebury College. Dr Tziampiris is married with two children.